Below is the schedule for picture day. Note that times are approximate and may be delayed depending on when the opening ceremony ends and how long it takes to get through each group. It will help if you have already registered and bring your form. If not, there will be forms at the event. Don't forget to register for your pictures. When registering online, here is the Picture Day ID that you will need: MV018009X0. Picture Day ID : MV018009X0. 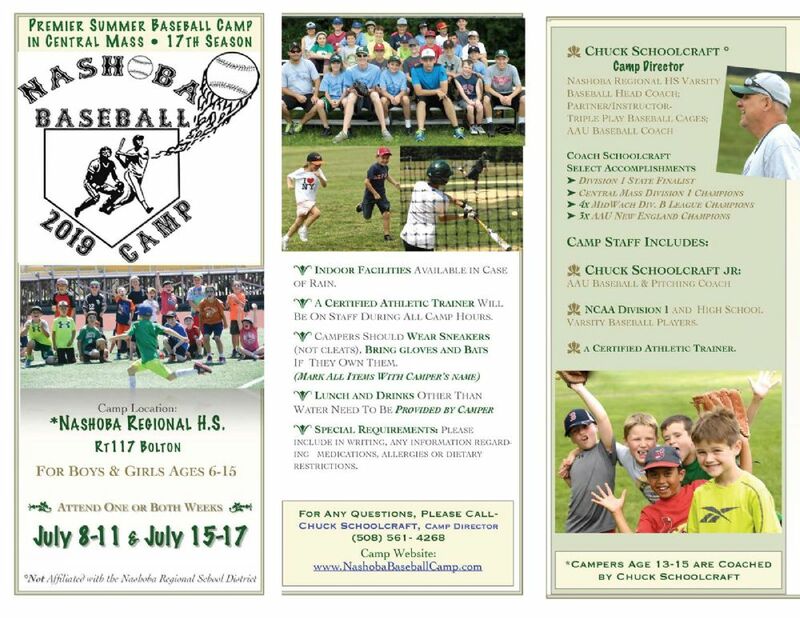 Nashoba Regional HS will be hosting their Nashoba Baseball Little League Day on Saturday April 27th at 10AM at Nashoba Regional High School. Parents please meet at 930AM at the football concession stand. They will have Chieftain baseball gear and other stuff to give away and there will be food. It sounds like it will be a fun morning!! We will have individual and team photos taken on opening day. Follow the link below to see what is available and to order. Photos will begin immediately after the opening day parade and ceremony. Schedules will be released next week.